Ahhh…. I am damn sure, “Bikaner” connects you with a crunchy tasty Indian snacks brand called “Bikanervala”, right, but trust me except this Indian snack Bikaner offers a plenty of things which just raise your eyebrows. 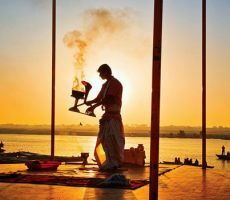 The city which is stuffed with forts and museums, temples and shrines, desert and lake to remainder of Harappan culture won’t go back you in history but on the other it’s wonderful markets and outdoor activities will entertain and give you colourful memories. 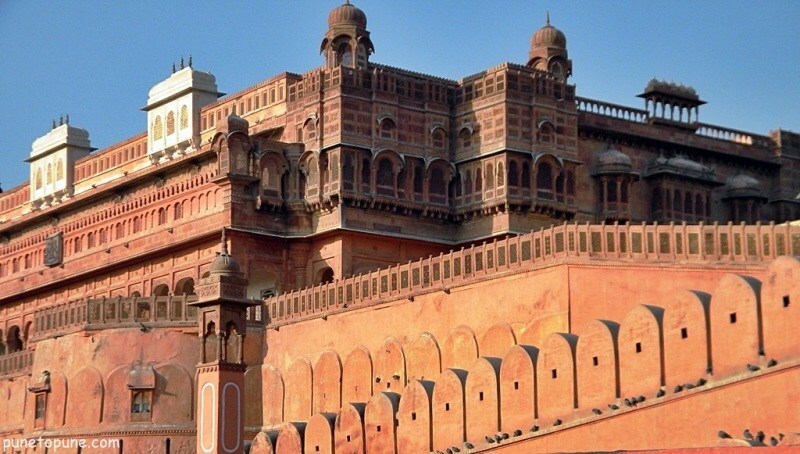 “Junagarh Fort” also known as “Bikaner Fort” is a main attraction in Bikaner. Junagarh Fort is a perfect example of Mughal, Gujarati and Rajput style of architecture, this Fort has 986 big walls together with 37 supports. 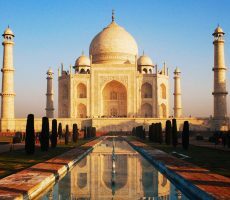 No doubt, its beautifully built balconies, lawns, pavilions, windows and a scenic surrounding offer tourists many chances to click. Last but not least don’t miss to explore the gems present within the fort named Chandra Mahal, Phool Mahal, Karan Mahal and Anoop Mahal which display paintings, mirrors and glass antiques that will surely captivates you. 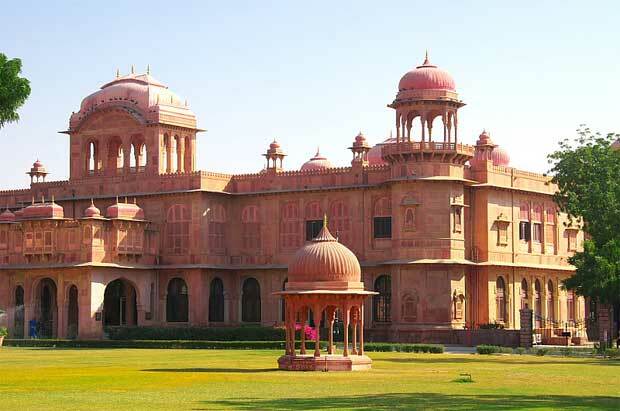 “Lalgarh Palace” is one of the other architectural wonder of Bikaner. 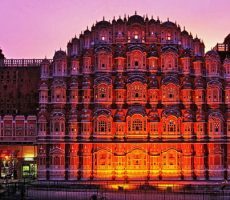 With a perfect combination of Mughal, Rajput and European architecture, this grand Palace was built by Maharaja Ganga Singh in the memory of his father. Nowadays, this Palace has been converted into a hotel which no doubt an ideal place to spend your vacation. Despite hotel, the Palace includes a “Museum”and a“Library”. So, go and explore its Museum where miniature paintings are waiting for you, whereas, a Library offers you a glimpses of huge collection of Sanskrit Manuscripts printed on parchments, plaques of silver, copper and gold antiques belonging to Harappan culture and Kushan and Gupta Age. 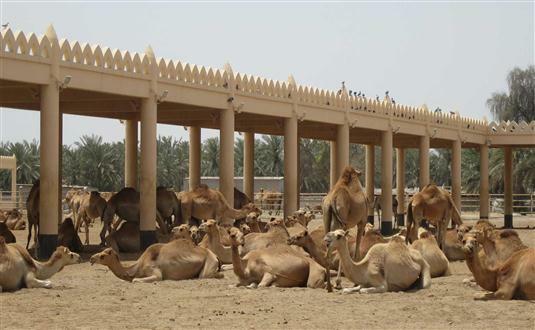 Asia’s largest Camel farm famed by “National Research Centre on Camel” is one of the places which you can’t miss. This Centre is more of a training farm which houses around 230 camels of 3 different breeds including baby camels. While you are here- then must take a round trip, which not shows you the whole facility but teaches you the methods which are performed at the facility. 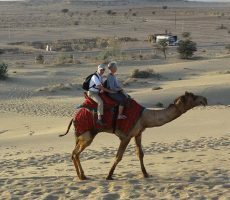 And main, don’t forget to try the things that are specially arranged for tourists named camel ride, small in-house museum and whipped camel milk lassi. So enjoy and have a joyful time with family. “Karni Mata Temple” also known as “Rat Temple” is one of the popular temples in Bikaner. The main highlight of this temple is the large number of Rat (around 20,000) that wanders all around the temple. 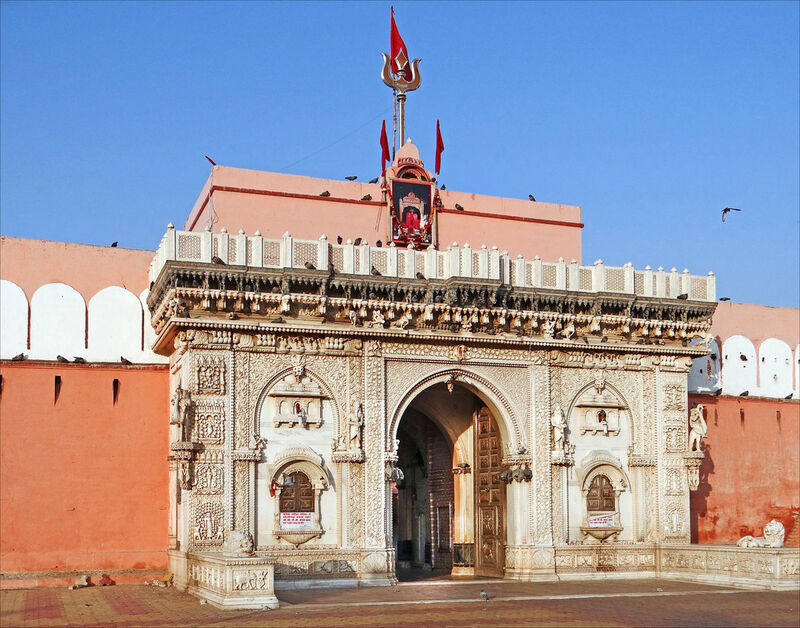 Rat temple is devoted to Karni Mata (an epitome of Goddess Durga) has connected with many famous legends. It’s believed that Karni Mata was requested to Yama to give back her son’s life, but Yama declined. So, Karni Mata being the spirit of Goddess Durga revived her son’s life in the form of rat and announced that from now ahead her family won’t face death. Another famous myth is,it’s believed that if you watch a white rat in the mid of thousands of black rats, then you treated lucky. 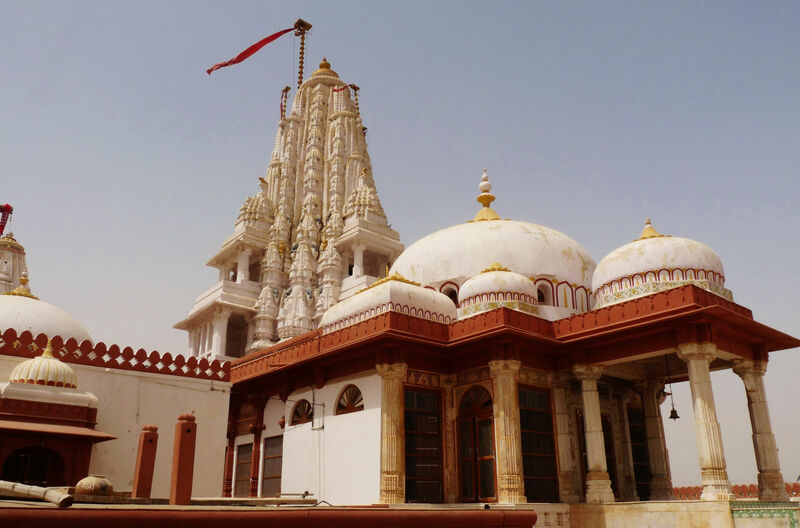 The famous three-storeyed “Bhandasar Jain Temple” is made by red sandstone and white marble. It’s believed that on this temple creation drum of ghee was used in place of plaster. Here you can do prayers on the first floor. But don’t forget to go on the top floor where the ultimate heart stopping view of the city awaits for you. If you think that’s it, so wrong, it’s quite environment and Rajputana architecture consisting marble pillars, gold leaf walls, intricately decorated ceilings, massive halls, mirror-work and wall paintings surely melts your heart.